Are you feeling stuck in things that are holding you back from what you truly want in life? Are you looking for a way to let go of these things so you can go to what really matters to you? Then come on, let’s go!!! Horses Know the Way Home functions on the basic principle that there is no need to live a life that makes you unhappy and that it is within your power to find peace with yourself and the world around you. We have created a 13 part series that is designed to educate you on how to achieve freedom from limiting thoughts in order to make a true connection with oneself. Using a fun interactive setting, we bring clarity to existing personal development principles and natural laws through the way of the horse. Each series is comprised of an hour of video broken up into 5 shorter parts that you can watch at your leisure anywhere you can get internet access. Brian and Brenda Lee present each of the 13 principles out on location such as open fields, amongst the fall foliage, never ending beaches, in an immaculate stable setting or indoor arena away from the elements and even outdoors in the falling snow. As Brian lives each principle during the filming of our content you will see Eddie, Red and Lucy interact with Brenda Lee. You will watch our videos over and over so you don’t miss out on all the fun stuff going on in the background while Brian discusses the Release That Teaches, Horse Power of Now, State of Being, Self Talk, Feel the Vibrations etc etc. The complete series can be watched via online streaming videos with bonus video content, ebooklets and audio downloads. Follow the instructions below to start your journey today. $US 19.97 every 28 days for 52 weeks. Receive new content every 4 weeks and still have access to previous content. Automatic billing to your credit card once every 28 days. $US 257.97 one payment paid in full. Receive access to all 13 principles to watch, listen and learn at your own pace. No waiting for the release of the next series. No monthly bills to pay. Step 2. After purchasing via our secure online shopping cart, check your email to receive your unique login information. Step 3. Login to the online HKTWH Academy using the link and password you received via email and start attending the classes! Watch the videos at your leisure then download the bonus ebooklets and audio files. Step 4. Sign up for the HKTWH Community and ask questions about the HKTWH Academy content in the corresponding forums. Brian will answer relevant questions and discuss the content within the forums for each series to help you on your journey to success and happiness. To check if your computer and internet connection can stream the videos, sign up for a free Introduction to the online HKTWH Academy, click here! 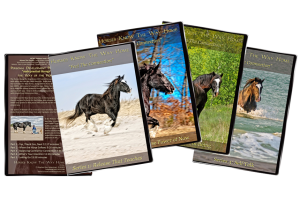 If you would like to purchase the HKTWH Academy series on DVD, visit our online shop by clicking here. To view the terms and conditions for online HKTWH Academy content click here. « Let’s Go! Create the life you desire, NOW!